Since 1999, the Petco Foundation has invested more than $250 million in lifesaving animal welfare work in order to help every animal live its best life. 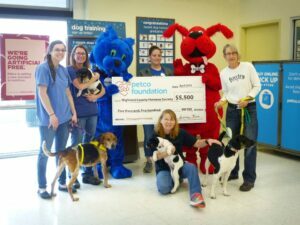 Earlier this year, a local organization received a PetCo Foundation Grant to help community members’ pets in our own backyard. 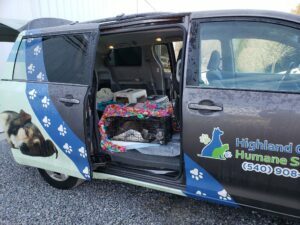 Corena Huffman with the Highland County Humane Society has the details. She says, “We were recently awarded a large grant of $5,500 to support our community pets here in Highland County and that goes for spay/neuter services for community member pets, including feral barn cats, trap-neuter-return and community pets here in our county. We also provide free transportation over to the spay/neuter clinics in ‘the Valley’, and we’d like to thank the Petco Foundation, and our rescue partners for helping us achieve this grant. 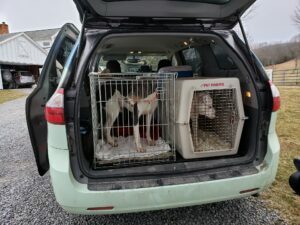 For more information about the next spay/neuter trip, you can reach out to the Highland County Humane Society to check availability and details.